Altar to Altar Ministries is called to build altars unto the Lord where altars currently don't exist. Our purpose is to introduce the Gospel of Jesus Christ to a congregation of unbelievers, showing them the need for a Savior, and encouraging them to build an altar unto the Lord for their salvation, and the salvation of those that follow. 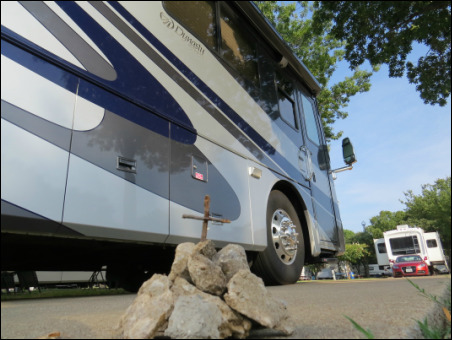 Traveling from coast to coast, sharing the Good News of Jesus Christ; preparing an altar, and providing a worship experience in campgrounds across the nation, winning souls for the Kingdom of God at every stop. Providing resources, and building a network of churches and support agencies that will help in the discipleship and empowerment of the new believers; encouraging them to go out and continue to build altars unto the Lord for themselves and others.